If you've got some thing going on with your skin that you consider a weird little quirk, you could bring it to your dermatologist or just take a brief (and free) visit to the DERMAdoctor website. 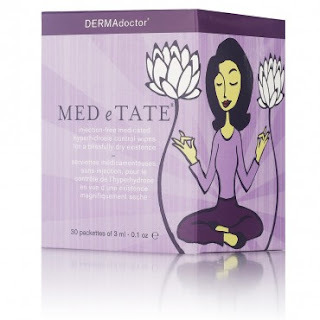 DERMAdoctor is a formidable skincare line created by female dermatologist Dr. Audrey Kunin, that goes above and beyond the usual remedies for wrinkles, acne, etc. and addresses stubborn problems of the type that you feel like you are the only one in the world who is plagued by them. Sure they do anti-wrinkle treatments and face wash, and yes they are available at Sephora and Nordstrom but it is still worthwhile to check out their own website because it includes an outstanding blog written by Dr. Kunin herself. They are most famous for their KP Duty products. 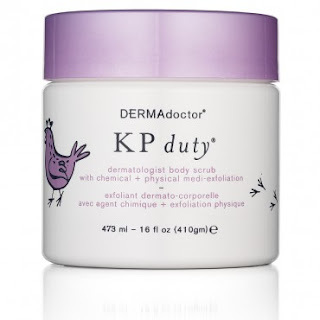 KP stands for keratosis pilaris and those are the stubborn little "chicken skin" bumps your get on your upper arms and thighs. You might first want to try the moisturizing therapy lotion and if that doesn't do the trick, move on to include the body scrub and even the intensive priming serum. Those are a sure fire way to get rid of the evil bumps. A side note here: the KP dermatologist body Scrub is only THE BEST body scrub on the planet - perfect for absolutely any skin type. If you have puffy eyes that seem impervious to any de-puffing trick you have tried, your problem may be fat deposits as opposed to just fluid retention. 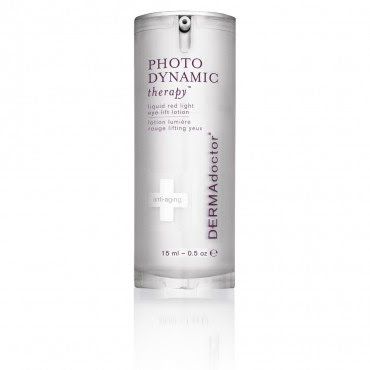 In which case I say try DERMAdoctor's Photodynamic Therapy Liquid Red Light Eye Lift Lotion. It's the only eye cream I know of that helps with the under eye fat deposits. It gets its funny name because it utilizes technology to transform the sun's rays into anti-aging restorative red light rays. So cool! 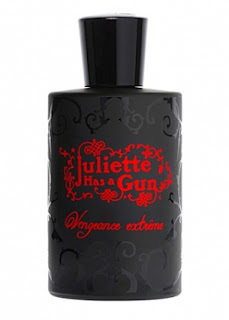 Gorilla Warfare Hair Minimizing Facial Moisturizer to eliminate the hairs on your chinny chin chin. Total Nonscents Ultra-gentle Skin Brightening Antiperspirant for those who have hyperpigmentation under their arms. Med e Tate Sweat Control Towelettes to help people with hyperhidrosis (excessive sweating).